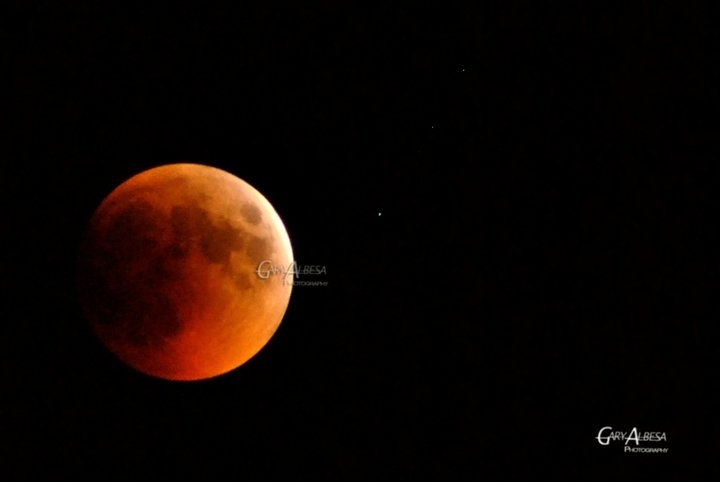 We are one of the lucky person to witness the second longest lunar eclipse of the century. This nice picture was Taken by my hubby yesterday night (6/15/2011) at exactly 11:20 PM Abu Dhabi Time. If you missed yesterday’s eclipse, Google Doodle has a progress meter which shows you how the moon is covered during the Lunar Eclipse. It plays automatically when you load Google.com, but you can also drag the progress bar either way to see it minutely. Another amazing features made by Google.com. Yes! if it’s from Google It must be Good! Ayun, sa google ko na lang din na witness ang eclipse.